I am going to my first ever quilt guild meeting tonight. 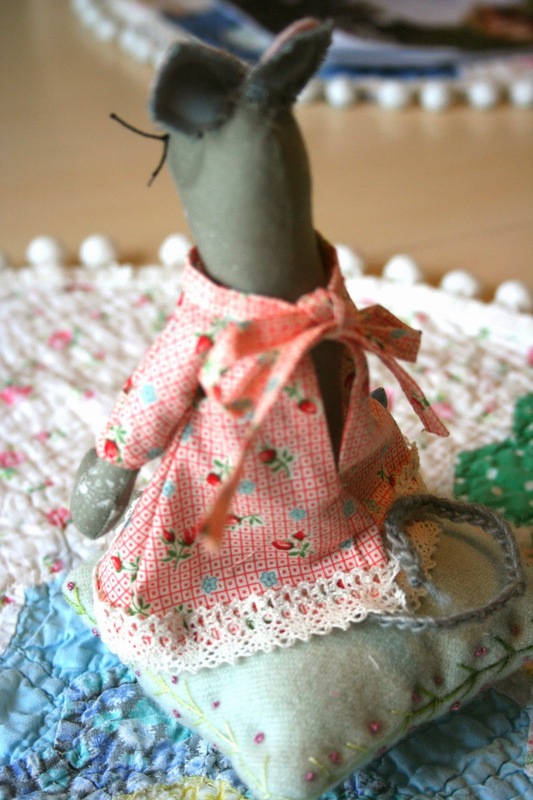 The guild is having a pincushion swap so I sat down today to make the Bitty Mouse pattern from Bunny Hill Designs. It was really a lot of fun. I use a hemostat to turn the small pieces and it's no problem at all. Now all I have to do is package sweet Bitty up and I'm ready! 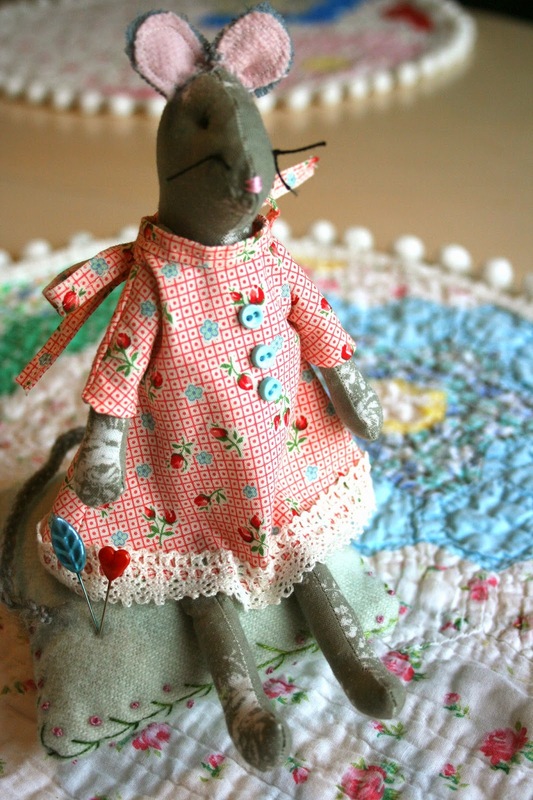 Your little mouse is so cute, Renee. That's the sweetest pincushion I have ever seen. Cute! Such a cute little mouse! Her dress fabric is amazing!!! I love Bunny Hill Designs! They have the absolute sweetest patterns. 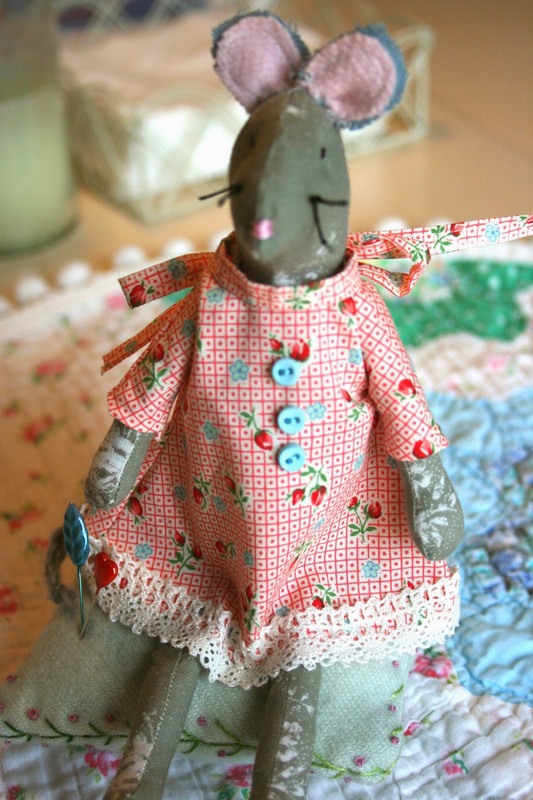 This mouse is darling and someone is going to be thrilled to get her. I love the fabric for her dress, do you remember what line it's from? I made a rabbit pincushion recently and I wish I had a hemostat to help turn the pieces. I love your sweet little mouse. This perfect. I have some pincushions that I hate to poke pins in. On this one you can stick them in the pillow.